Since 2013, the EPLO has undertaken as a Publisher the European Review of Public Law (ERPL) and its special editions, as well as other periodical editions and stand-alone publications dealing with public law issues. 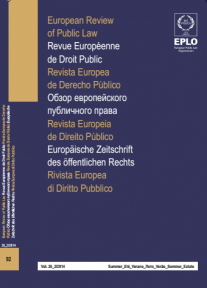 The ERPL is a quarterly publication, established in 1989 to create an international forum for analysis and discussion of issues in the development of constitutional and administrative law in Europe. 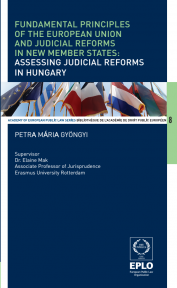 Not only does it examine a wide range of issues that relate to the European Union, the European Convention on Human Rights, the national public law and practices, as well as to their mutual interaction and influence but it also covers other jurisdictions that interplay with the European Public Law systems and/or offer relevant comparative insights. 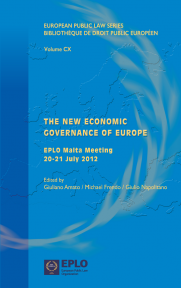 The commitment of the EPLO Publications to expand their scope to further areas of interest, in addition to their main subject matter of public law, was implemented through two new Series launched in 2018: the “Mediterranean Agenda” by the EPLO Institute for the Mediterranean and “The Institute for Justice and Growth Series” by the Institute for Justice and Growth of the EPLO. This initiative has been even more enhanced during the reported period. The Mediterranean Agenda is the result of the initiative of the Institute for the Mediterranean of the EPLO. It was launched not only with the aim to disseminate the results of the debates taking place in the context of the events that the Institute organizes throughout the year but also with the ambition to publish stand-alone studies by eminent, young and already established, scholars, and other studies on the Mediterranean area, that will contribute to the highlighting of the Mediterranean dimension amidst the contemporary regional challenges. The Institute for Justice and Growth Series is the result of the initiative of the Institute for Justice and Growth of the EPLO. 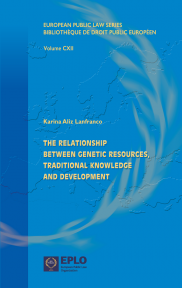 In this Series will be collected and reflected the suggestions, contribution, thoughts and opinions and, above all, the concrete proposals of the elite personalities of high academic and professional prestige who enjoy international recognition and participate in the Scientific Council of the Institute for Justice and Growth, as well as of those involved and participating in the scientific events organized by the Institute. 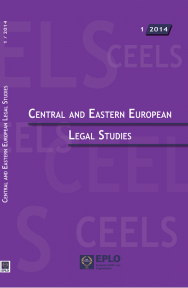 Other publications include the periodicals “Central and Eastern European Legal Studies”, "European Politeia" and "The Administrative Reform" many stand-alone books. Furthermore, it is important to mention that the EPLO Publications have enlarged their scope through the representation of Hungary both in the ERPL and in the CEELS and of Russia in the CEELS. We would like in this context to welcome H.E. Minister L. Trócsányi from Hungary, the new member of the ERPL Board of Editors, and Mr. A. Gromyko from Russia and Ms. A. Szalái from Hungary, the two new members of the CEELS Board of Editors. We look forward to a very fruitful collaboration with them and we thank them as all members of our Editorial Boards. The European Politeia is our third Journal. 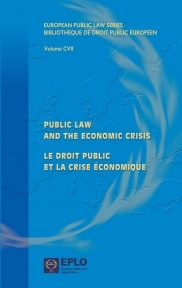 It is a bi-annual journal of European law, public affairs and society published by the European Public Law Organization under the scientific supervision of the Greek Center of European Studies and Research (EKEME) of the EPLO. The Administrative Reform is the fourth journal. 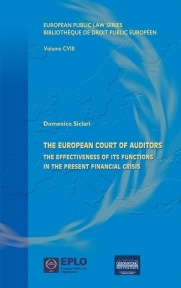 It is a historic title, founded in 1980 and published until 1998. This publication aims to become anew a forum for young and established scholars from the field of the administrative science, the civil service and the judiciary. It will publish papers in Greek, on a wide range of topics on public law, good governance, institutional reform, the promotion of transparency and the protection of human rights. The EPLO Publications e-shop is now in place at www.eplopublications.eu. Readers can find information about EPLO publications and instantly buy them online (hard copy or digital version) through a simple process.